Awami League General Secretary Obaidul Quader on Sunday said BNP wants to capture state power capitalizing on the students’ movement for safe roads and they are moving ahead with this agenda. “It is clear that they want to divert the non-political student movement to dirty politics…The attack and vandalism in city’s Science Laboratory on Saturday made clear their ill attempt,” he told the journalists while visiting Banani Graveyard in the city. Earlier, Quader placed wreaths on the grave of Sheikh Kamal, the eldest son of Father of the Nation Bangabandhu Sheikh Mujibur Rahman, marking his 69th birth anniversary. 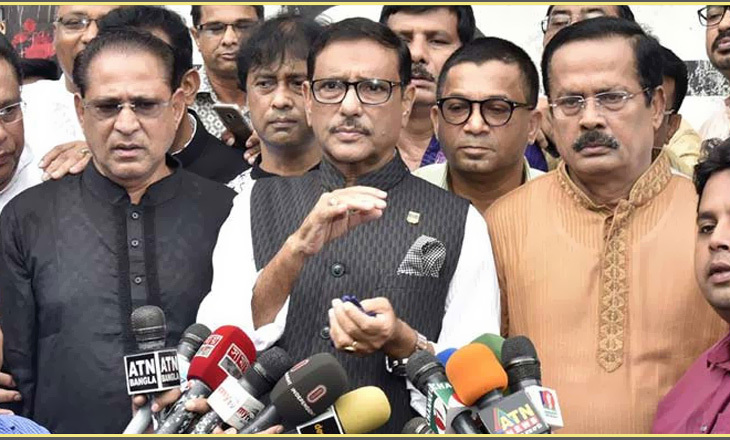 Quader, also the road transport and bridges minister said, the country’s people have also noticed their ill attempts — how BNP and their fundamentalist collaborators turned the students’ non-political movement into dirty politics. About a mobile phone conversation of a BNP’s senior leader, Quader said he (BNP leader) was hatching conspiracies to send their people to Dhaka from Cumilla and the conversation cleared their conspiracies. 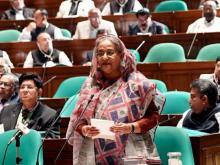 He said Awami League does not make any conspiracy against anyone. But the party (AL) always falls a victim to conspiracies, he added. He said BNP and their fundamentalist collaborators are doing dirty politics by wearing school uniforms and holding fake ID cards. They introduced destructive politics, he added. About the woman who posted a video on social media, Quader said police arrested the woman who did it by covering her mouth from Uttara area. 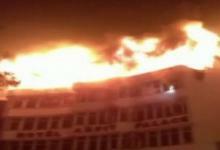 “We are closely monitoring the all activities,” he added. “A vested quarter attacked us and injured our 17 activists by intruding into the students’ movement. They are now taking treatment at different hospitals. Regarding the talent of Sheikh Kamal, Quader said, “He (Sheikh Kamal) was a multi-dimensional talented man. He kept testimony of his talent in culture as well as in sports arena. He was the father of modern football in Bangladesh.